Decatur resident Brandy O'Connor at home with her son, Mark Bolen, 10. Mark has cerebral palsy and O'Connor said she has struggled to find a childcare facility willing and able to care for him. "And then impulses," McAnarney said. "She doesn't know how to stop herself from anything. Which can put her at risk at times. I mean there were some days where it was us protecting her from herself. While she's found strategies for the family at home, McAnarney said she's struggled to find a childcare facility with staff who understand and accommodate Darby's special needs. "They started calling us everyday to pick her up. (They) would just say she was being bad. It was truly just your kid is bad, she’s in my class and I don't want her here," McAnarney said. "We were only there for two and a half weeks, and one day we picked her up and there was just a note in her cubby that said Darby is not welcome to come back." "They didn't want to deal with a kid that wasn't 'normal'" she added. "I think it's still possible a licensee might say I don't have the skills to handle this particular special needs child because a lot of these are small operations," said Neil Skene, special assistant to the director of the state's Department of Children and Family Services. "I think that's something that has to be worked out with the parents and daycare center." Faye Manaster said what happened to Darby is "terrible" -- and a common occurrence. Manaster is the project director for the Arc of Illinois's Family to Family Health Information Center. The Arc of Illinois is a statewide advocacy organization for children and adults with disabilities. "I'll tell you that all of us in our program hear frequently from families who say they enrolled their child in childcare and then they got expelled because of their behavior," Manaster said. That's what happened to Brandy O'Connor. O'Connor lives in Decatur with her 10-year-old son, Mark. Mark was born prematurely, and later diagnosed with cerebral palsy. His medical condition has evolved over the years, O'Connor said. 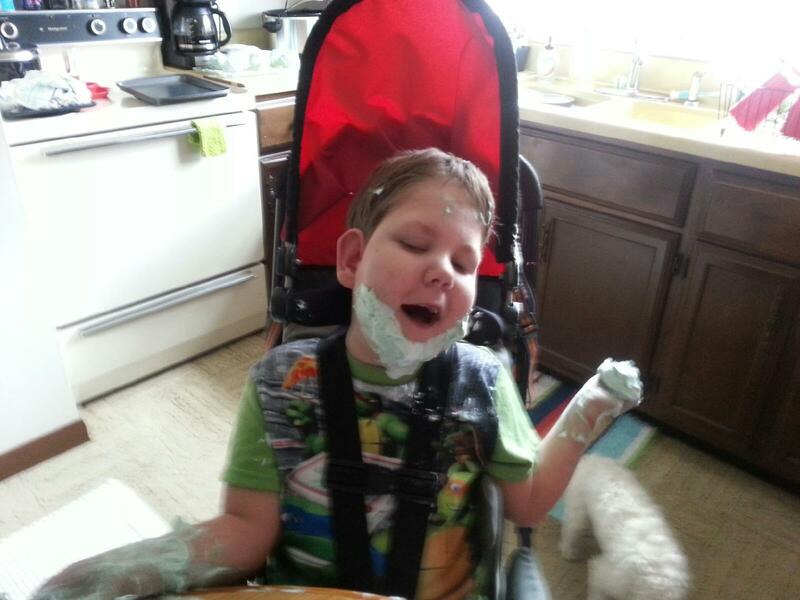 He can't speak, requires a feeding tube, a wheelchair and wears diapers. Recently, O'Connor said, doctors placed him on oxygen while he sleeps. "It's an ever-changing journey," she said. O'Connor is a single mom, and for years she's provided Mark with the 24-hour care he needs. When he started kindergarten, O'Connor said, "that's when I got to the point where I needed to do something else besides just being his mother. Like, I have to get my own life back. The years are taking a toll of just being a caregiver." She tried to find a center that could care for Mark, but O'Connor said no one was willing to accept him "because of his needs and because of his size. And diaper changing. He's not toilet trained. He's in a wheelchair." "You kind of give up," O'Connor said. Without anyone to watch Mark after school or during the summer, O'Connor said she was forced to stay home with him. She's had to rely on family for financial assistance. "I didn't work. I wasn't employed, I guess. My work has been him. You don't have the opportunity. You just, you can't," O'Connor said. Roughly two years ago, O'Connor said her and Mark's life changed for the better. She discovered a grant-funded program called Kid's Connection that provides afterschool and summer care for children with and without disabilities ages five to 18. 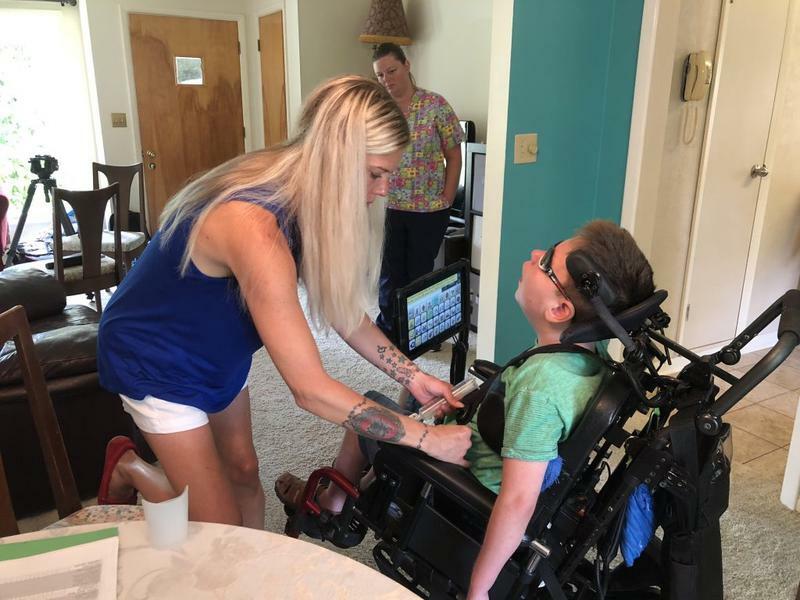 The program is administered by a non-profit group in Decatur called Macon Resources, Inc.
O'Connor said the care is subsidized -- it only costs her $25 per week -- and she trusts the staff to take care of Mark. She also appreciates the exposure Mark gets to other children and adults, and says he loves going to Kid's Connection. "But it also gives me a chance to have my own life again, which is huge," O'Connor said. "I'll be starting a new job. And I am super excited about it, and I’m going to be able to work 8:30 a.m. to 4:30 p.m., and he'll be going to school and he'll be at Kid's Connection. Two years ago that wouldn't have happened." Manaster said the solution O'Connor found in Kid's Connection is both "miraculous" and extremely rare. She said she wishes she could replicate it in every county in the state. To make such a program the norm and not the exception requires increased investment from the state and local municipalities, as well as a cultural shift that values the needs of children and families with disabilities as highly as those without them. "People need to know not to be afraid of somebody who is different, not to be afraid of a child who can't talk, not to be afraid of a child who uses a wheelchair, not to be afraid of a child who communicates through their behavior because that's the only way they have to get their message across," she said. O'Connor spent most of the past 10 years of Mark's life without access to a childcare facility willing to care for him. "If I would have been able to enroll him in the program he is in now five or six years ago, I think my life at this point would be dramatically different," she said.